Cell Solution® Clima fibers are natural cellulosic manmade fibers. The main raw material is wood pulp from non-endangered trees, and the additive paraffin is refined plant oil. 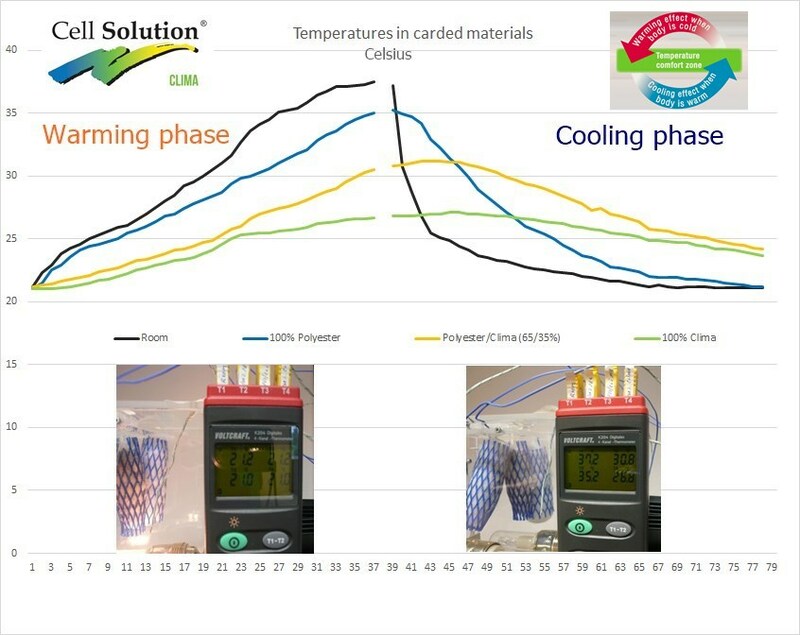 Cell Solution® Clima technology creates a “micro heat accumulator”, which acts as an extraordinary temperature buffer between warm and cool. 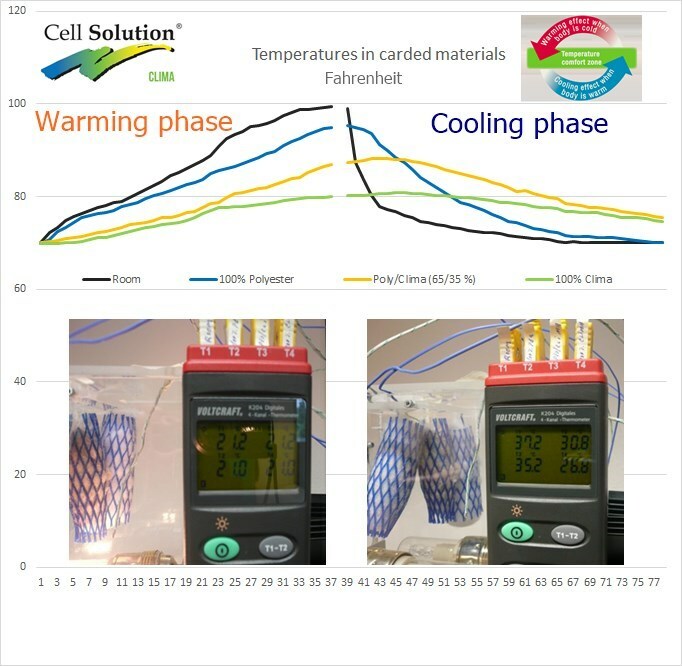 Cell Solution® Clima fiber is a PCM (Phase Change Material) micro composite of the latest fiber manufacturing generation with advanced thermo regulating features when compared to the classic phase change materials. 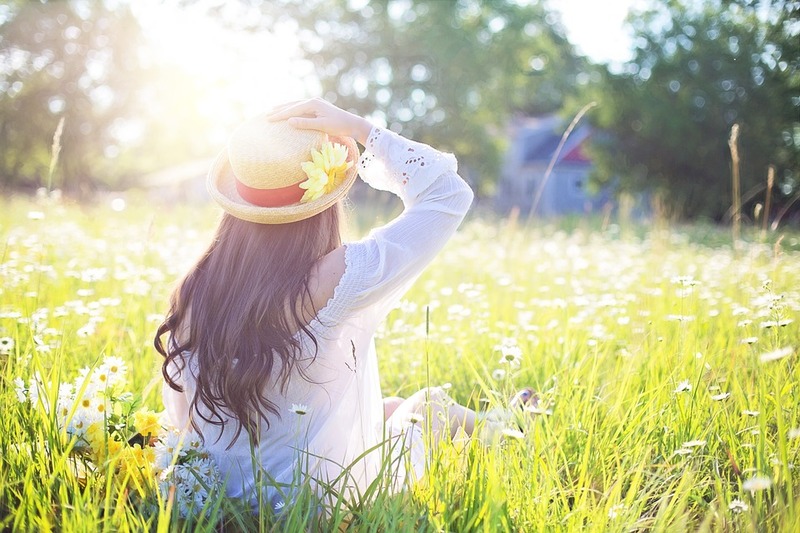 Via a patented spinning process, paraffin is embedded in crystalline and tear resistant functional lyocell fibers. Thus producing unequaled many micro composite accumulators per unit of cellulosic fiber, using which the textile imparts enhanced comforting features. 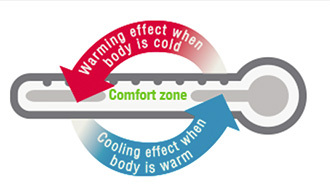 PCM Textiles manufactured with Cell Solution® Clima adjust to the skin’s comfort temperature. It can absorb excessive body heat, and when the temperature drops, dispense it again. Thus temperature regulation is assured, providing extraordinary wearing comfort and excellent microclimate. 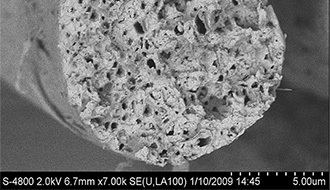 Cell Solution® Climafibers provide high energy absorbtion (more than 92 Joules per gram of fiber for 6,7 dtex and more than 50 Joules for 2,3 dtex fibers). Thus stable temperatures can be achieved within a specific time period. The structure of the cellulosic fiber results in an optimal bodyclimate because of the fiber’s excellent moisture absorbing properties. Synthetic fibers do not absorb any moisture. Cell Solution® Clima fibers can be easily processed in to textiles and have consistent dyeability when following the recommended processing/finishing method. Even though the fiber is heavily loaded with PCM, the fiber surface remains smooth. Thus making it insensitive to mechanical and chemical forces. All of this provides functional performance and allows washing of fibers and textiles. Cell Solution® Clima fibers can be used in nonwoven applications or spun into yarns. Cell Solution® CLIMA 2,3 dtex. Due to the large amount of n-paraffin in the fiber, longer exposure of the product in dry state to temperatures above 100°C/210°F has to be avoided or will result in vaporizing of paraffin. Storage capacity in accordance with DIN 51007 (DSC) = 50 Joule/Gram. Please contact us for updated versions of OekoTex Certificate.